The University of Buckingham has come top in the UK for student satisfaction in the National Student Survey (NSS) for the eighth time since it started taking part 12 years ago. Britain’s first not-for-profit independent university, which recently celebrated its 40th birthday, shared top position with the University of St Andrews on a score of 94 per cent – 10 points above the sector average and 5 points above the highest-scoring Russell Group University. Buckingham also scored very highly across the full range of NSS question categories – joint top in the UK for the quality of teaching with an average score of 92% and 91% of students agreeing that their course has challenged them to do their best work (the highest in the UK), second in the UK for organisation and management and third in the UK for both assessment and feedback and academic support. Ms Stephanie Okeke, Student President, said “On behalf of the student body, we are satisfied with the results and are proud that our University has come out top once again. We are indeed satisfied with the teaching quality at the University of Buckingham and feel our voice is heard”. Sir Anthony Seldon, Vice Chancellor, said: “The NSS remains the voice of the UK’s students and Buckingham is thrilled to be top once again; we are very fortunate to have such great students and academics who clearly make learning at Buckingham such a success for all. It is a shame for students when considering their choices that some universities have not been included in this year’s results”. 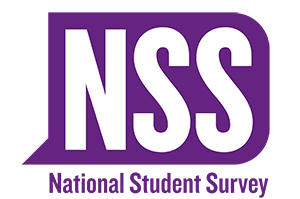 The NSS provides all final-year undergraduate students with the opportunity to express their opinions on the quality of their experience at university.